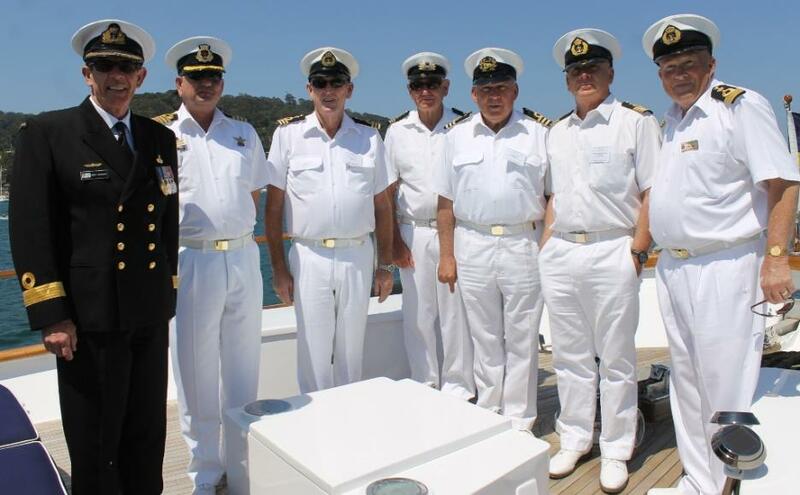 Left to right: Director-General ANC, Commodore Geoff Geraghty AM, RANR, Geoff Jollow, Vice-President Gosford Sailing Club, Barry Yates RMYC – Port Hacking, Robert Taylor, Commodore St George Motor Boat Club, Jim Murphy, Commodore Ku-Ring-Gai Motor Yacht Club, John Barbouttis, Commodore RMYC – Point Piper, Peter Haig, Commodore RMYC – Broken Bay. Picture by A J Guesdon. The Royal Motor Yacht Club - Broken Bay opened their 2013/14 Boating Season yesterday in fine style on Saturday 19th of October, honouring those who have contributed to this fine old Pittwater institution, confirming their place in our community as family friendly and committed to the enjoying the upcoming season on the water. 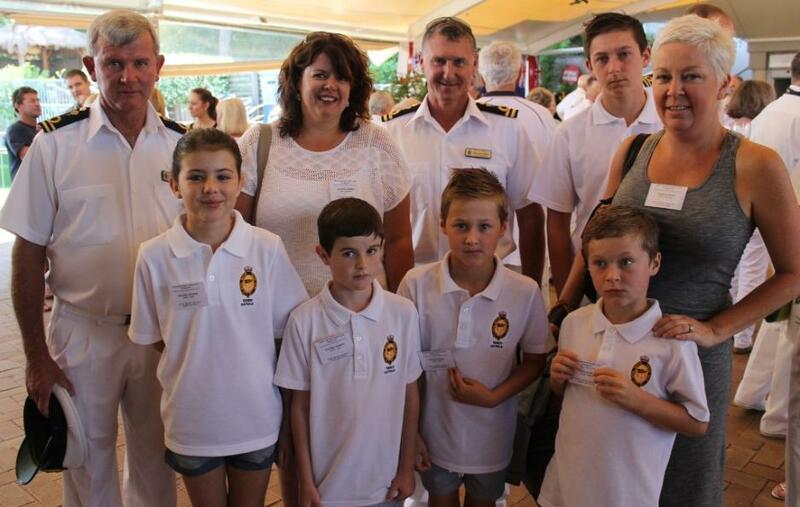 Left to right (Front): Olivia and James Mason, Spencer, Fraser and Angela Offen all from RMYC - Toronto, (Back): Marc Mason, Rear-Commodore RMYC - Toronto, Rachel Mason, Murray Offen, Vice-Commodore RMYC - Toronto and Jasper Offen. Picture by A J Guesdon. Left to right: Sailability Pittwater Coach Keith Sinfield, President John McCausland, Linda Buchan, Bob Bennett and Allan Jones, Sailability Pittwater Commodore. Picture by A J Guesdon. The Royal Prince Alfred Yacht Club has launched their Integrated disAbled Sailing program with their inaugural Islands Race held two weeks ago on Sunday 29th of September, 2013. 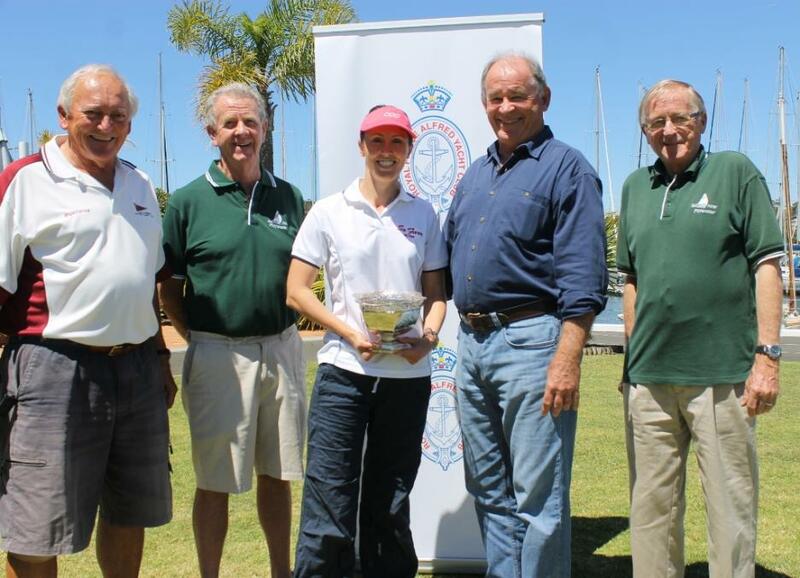 The winners were the skipper and crew of SoFarr with Linda Buchan and Bob Bennett, pictured above with the perpetual trophy, sharing a few insights on a great weekend at this Pittwater Club and what it takes to win! Pittwater's Annual Food & Wine Festival. Picture by A J Guesdon. 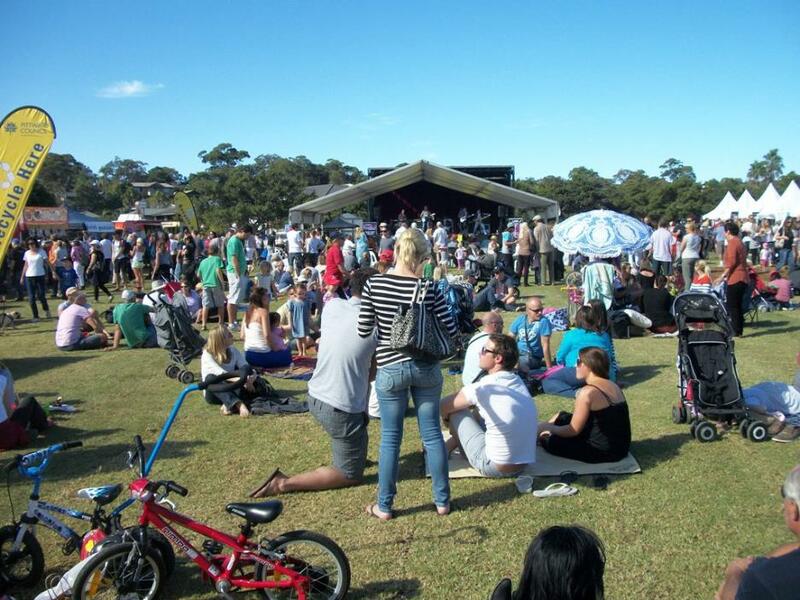 Pittwater Council has won two national awards, the Award for Events, for its series of local markets and an additional award for Open Space Development for its upgrade of Narrabeen Sports High Playing Fields. Left to right: Bob Bennett, Lynleigh Grieg, Dr. Howard Ralph, Sonja Elwood and Glen. Picture by A J Guesdon. National Bird Week has begun and runs until Friday 25th of October. 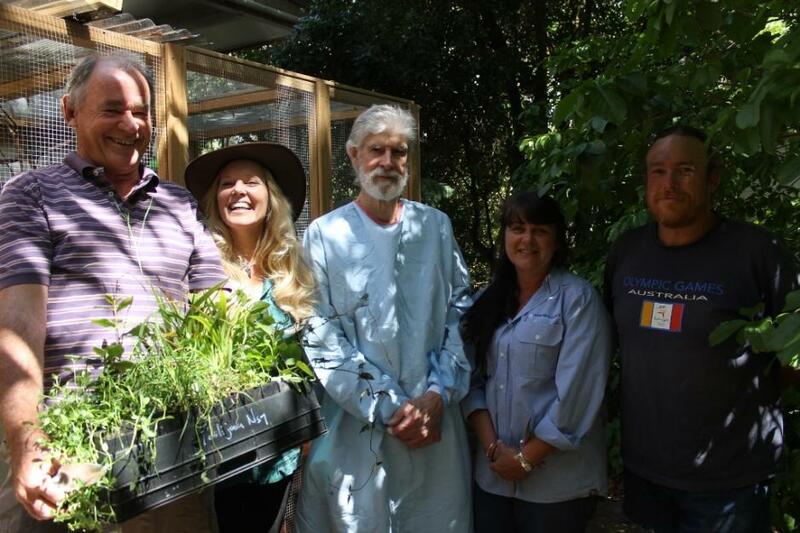 A note of joy for our birds was sounded this week by the completion and planting out of a Rehabilitation and Flight Aviary for Southern Cross Wildlife Care by Sydney Wildlife. We spoke to Lyndy Stacker last night (19.10.2013) who explained that recent wind storms have been devastating for our new Spring baby birds so this is a boon for them and their carers. The next project for SCWC is much needed solar panels for the Braidwood Clinic. Pittwater Online News will provide one year's free advertising or sponsorship on any of our regular weekly pages to a business or company that provides and installs these. A bargain where everyone wins! Picture by A J Guesdon, 2013. The NSW National Parks and Wildlife Service (NPWS) is conducting its annual White Ibis survey to get a better understanding of the distribution and abundance of this bird in NSW. This year we are requesting participation from across Australia. The survey has been running since 2003 and the information collected has assisted considerably with our knowledge of these distinctive birds. Increasingly, Ibis are moving into our urban environments bringing them into conflict with humans e.g. affecting aircraft safety, water quality and biodiversity. To participate simply report the number of Ibis you see via the below website. Reports within a week of the 20th are accepted. Additional information such as breeding, the number of nests or wingtags (pictured above) is greatly appreciated.